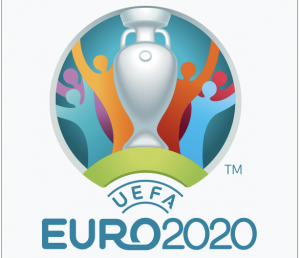 Euro 2020 Qualifiers Start So How Will The Home Nations Get On? After what has seemed a never-ending sequence of Premier League, FA Cup, Champions League and Europa League games over the last few weeks, we are putting club football to one side for a week as from Thursday the European Championships 2020 qualifiers start in earnest with the first matchday of ten to be played between now and November 2019. Next year’s Championships will be a very different one to normal with no host nation, 12 cities across Europe will host the tournament and instead of 16 teams, a total of 24 will qualify, with 20 earning their place through the qualification tournament set to begin this week. Each international break will see two matchdays completed, with this week seeing Matchday 1 immediately followed by Matchday 2. 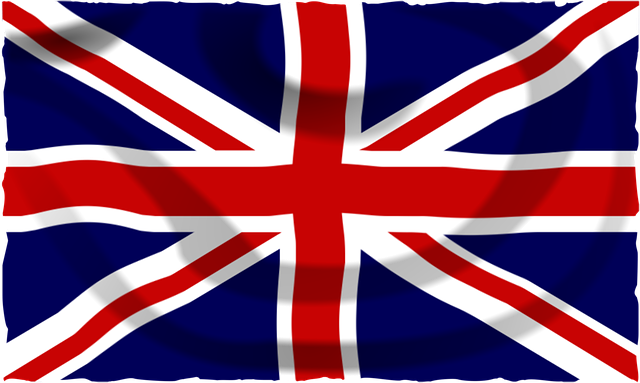 Most of the Home Nations (all bar Wales) and the Republic of Ireland are in action on Matchday One, with British football fans eager to see if their nation can be one of the 24 teams that make it through to the finals in the summer of 2020. If you fancy a flutter on any of the games listed below featuring the home nations, or indeed any of the other Euro 2020 qualifying matches taking place this week, then bet365 is the place to head. As a new customer signing up, you can claim up to £100 in bet credits when you join using the current bet365 New Player Bonus and with a wealth of football markets to bet on every week, you’ll have no problems finding plenty of great bets throughout the course of the season. How will the home nations fare? Let’s now see each of the group for the four Home Nations teams plus the Republic of Ireland. After having gained promotion to League B in the Nations League last year, Scotland will be hoping they can reproduce the away form that saw them win comfortably 4-0 against Albania in Tirana at the end of that campaign when they make the long trip to play Kazakhstan in Astana on Thursday afternoon. Kick-off is 3pm UK time and the Scots start the game as favourites and with Liverpool defender Andy Robertson, now national skipper, having made the trip after recovering from a dental abscess. Being draw in a group with Belgium and Russia, the Scots will know that they are going to need the points from their away trips to San Marino, Kazakhstan and Cyprus is they are to stand any chance of upsetting the form book and beating World Cup semi-finalists Belgium and World Cup quarterfinalists Russia to the finals next summer. The Scots have another winnable away game up next as they travel to San Marino, but they will be desperate to head into that game on the back of a positive win here and with Belgium facing Russia in their opening game, it could well add pressure to the loser of that game if Scotland win both these crucial away ties. Tip – I think Scotland have just enough quality to get the job done here, so I am backing Scotland to win at 4/5 with bet365. You could also back Scotland to win and both teams to score – no, which is a 13/8 shot with bet365 also. After making such a positive impression in France 2016, Michael O’Neill will be hoping his Northern Irish side can make it through to the finals once again in 2020, although having been drawn in the group along with Germany and Holland, their chances of qualification do look rather slim. To stand any chance, the Irish will need to win all their games home and away against Belarus and Estonia, starting at home on the opening round of games. In truth, against one of European football’s lesser sides, the Northern Ireland fans should find themselves celebrating a win here. The games home and away against Holland and Germany will likely decide the Northern Irish’s fate in the tournament as a whole, but a positive result here would get them off to a decent start and at least put them in a positive frame of mood heading into another home game against Belarus on Matchday Two on Sunday. Tip – Back Northern Ireland to win at 9/20 at bet365, or for better odds you can back them to win and both teams to score – no at even money also at bet365. England have booked themselves a place in the Nations League semifinals this summer as they face their first silverware since 1966, and they begin their qualification campaign for Euro 2020 as the favourites in Group A and taking on the team that are most likely to be their closest rivals in the group, the Czech Republic. The Czech’s are a decent side but they have been very much in a state of flux over the last few years, not quite matching the performances of teams of yesteryear, including the one that won this tournament in 1976 and who were finalists at Euro 96, held in England. 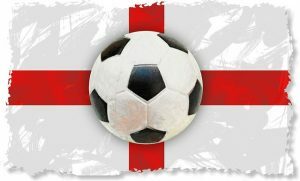 With Harry Kane, Marcus Rashford and Raheem Sterling in good form, the Three Lions should be confident of picking up a win at home against the Czech’s and in what is not a particularly threatening looking group, Gareth Southgate’s men should qualify relatively comfortably for the finals next summer. Anything less would be a huge let down after a positive World Cup and Nations League campaign. Tip – Back England to win at 2/7 with bet35 but I feel a better value bet is the wincast option which has Harry Kane to Score at any time and England to win at 12/5. Gibraltar are one of the perennial whipping boys of European international football and although they have finally broken their losing streak, they are still one of the teams for whom it is a matter of how many goals you tend to score against them. Ireland have not been the most prolific under Martin O’Neill and with Mick McCarthy now back in charge, it will be interesting to see if he can find the magic formula to get the Irish scoring more freely. Defensively the Irish should have no worries about conceding a goal, barring a disaster and I can see them scoring a fair few against a Gibraltar side that is made up mainly of part time and lower league players from the lower reaches of Spanish football. As such the only bet here is on an Irish win and by how many goals. Tip – It’s not worth backing the Republic to win this at 1/25, so a better bet is to back the Over 4.0 goals in the game which is a 215/100 shot. Wales play a friendly against Trinidad and Tobago this week as they do not play their first qualifying game until Matchday Two when they will face Slovakia in Cardiff in what will be a crucial game for the Welsh team.